If your dog went missing from the fireworks last night – don’t panic. Immediately put out your dog’s favorite blanket, some food and water, and something that smells like you (a dirty sock or pillowcase). Then file a report with us from this link: https://lostdogsofwisconsin.org/report/lost-dog-report/ . Our volunteer flyer processors will make a flyer for you to print and share. (Check your email!) We will also post it on our Facebook page (70,000 fans) and send it out on our Twitter feed. Distribute your flyers door to door in your neighborhood. Tell EVERYONE – to not call or chase or whistle to your dog. Let him relax and he may very likely come home on his own when it is quiet. Do NOT let people congregate in your yard or driveway. 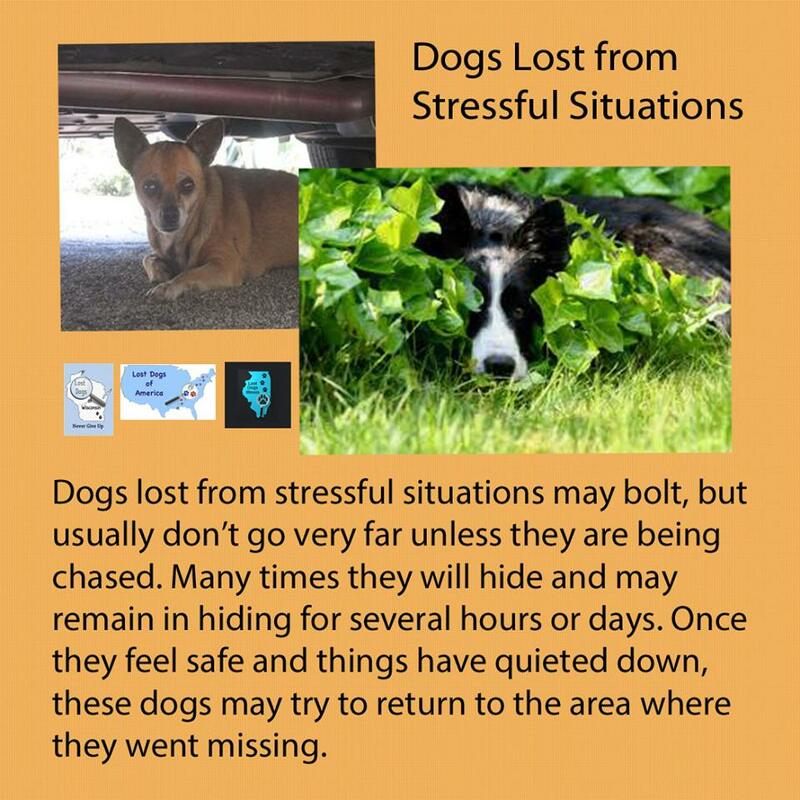 Your dog is frightened and will stay in hiding until everything calms down. This entry was posted in Fireworks, Lost Dog Behavior Tips, Photo Tips, Recovery Tips, Shy Lost Dog Strategies and tagged fireworks, July 4th, loud noises, shy dogs, stressful situations. Bookmark the permalink.